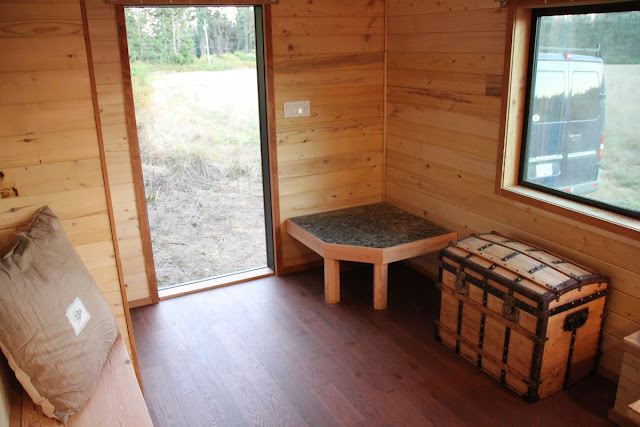 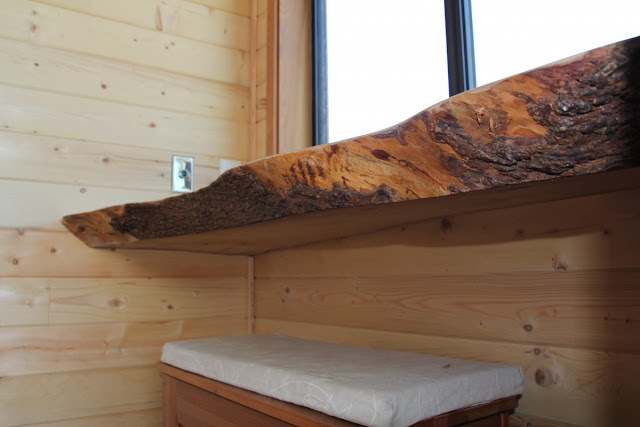 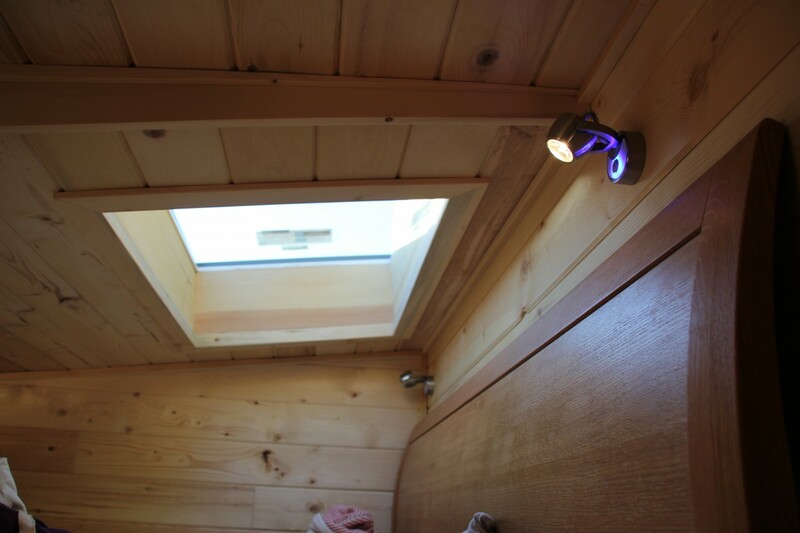 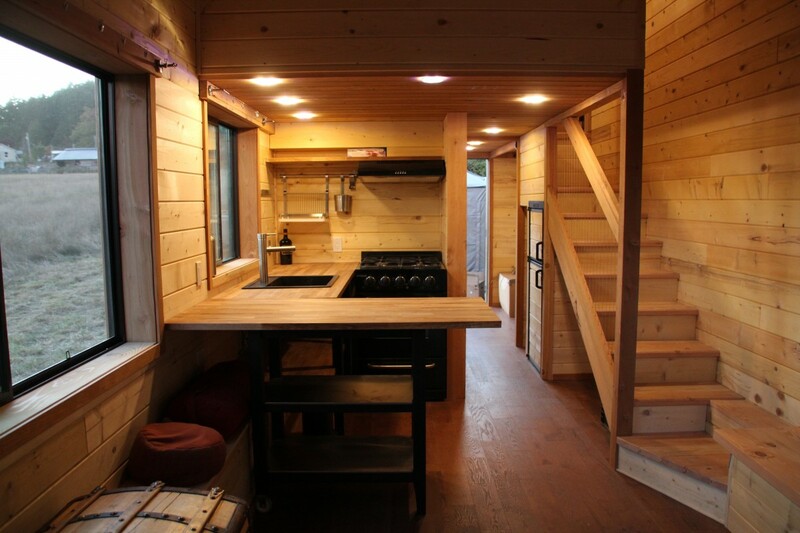 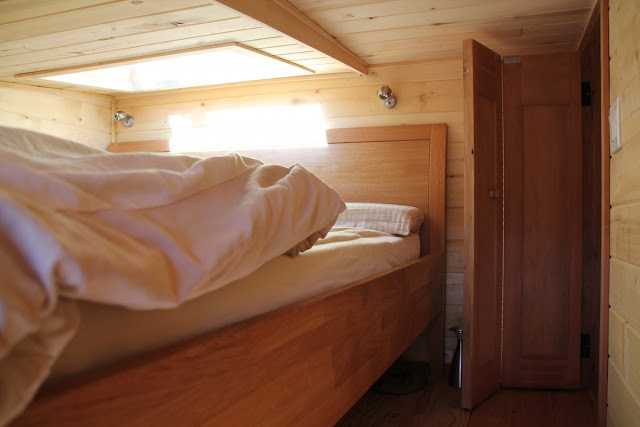 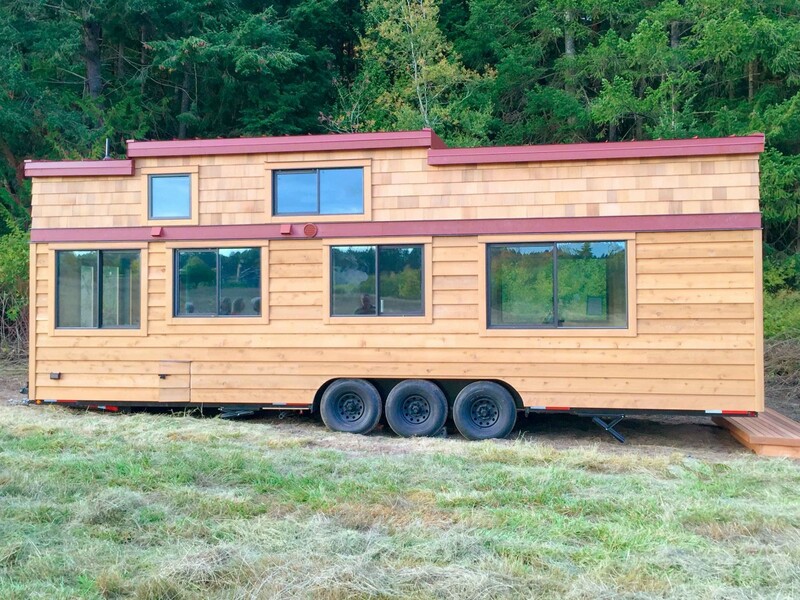 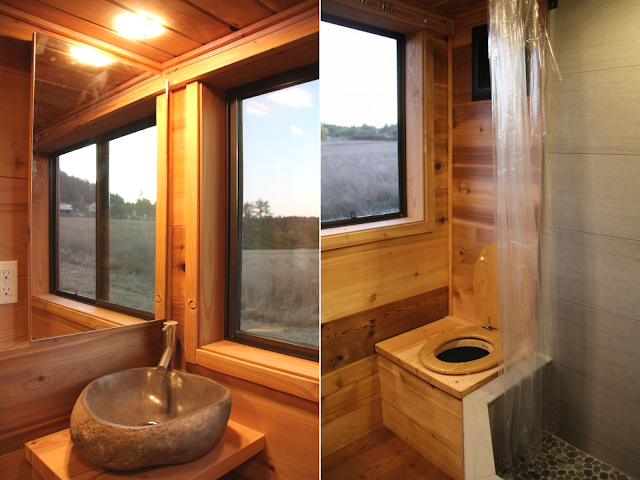 This Canadian-made tiny house is a toxin-free build, designed for a family of four. 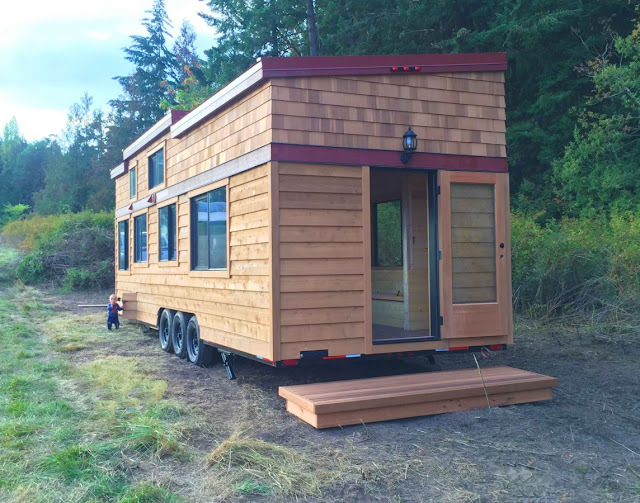 Built by Westcoast Outbuildings and named the "Chinook 30", the home measures 10' x 30' and has an interior size total of around 450 sq ft. 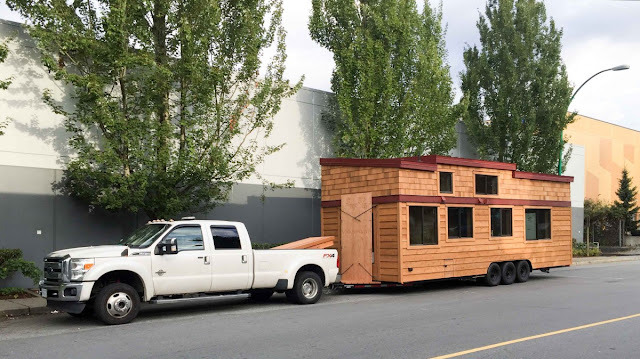 The home pictured here is Westcoast's "Healthy Living" version of the home which has no "interior plywood, OSB, plastic, laminates or heavy off-gassing products like construction adhesives and sealants anywhere in its interior". 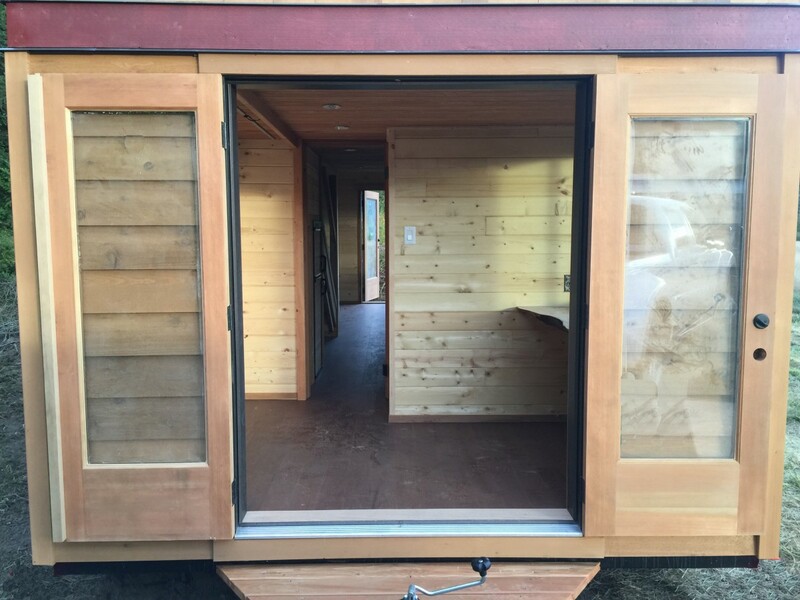 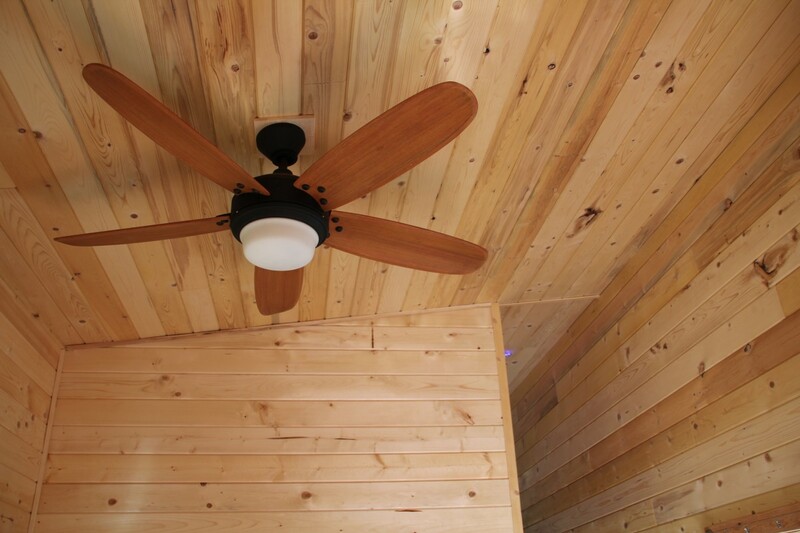 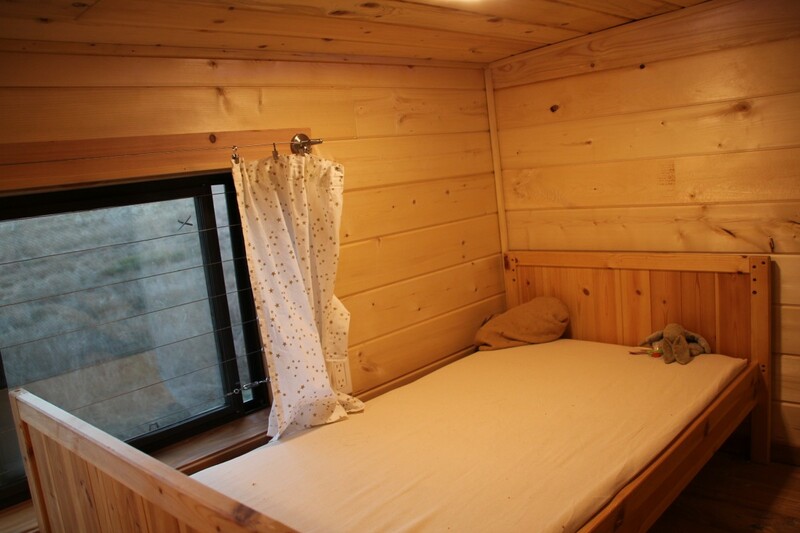 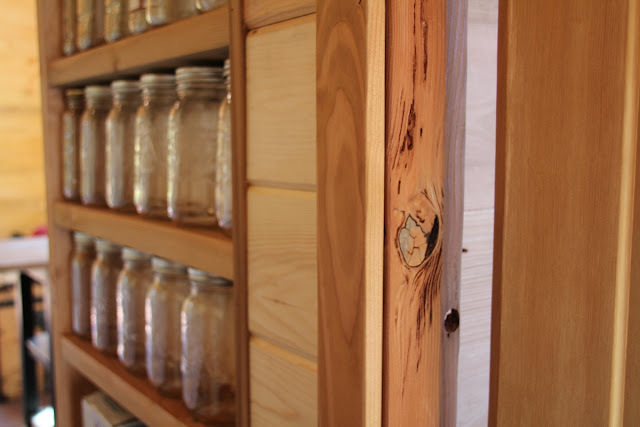 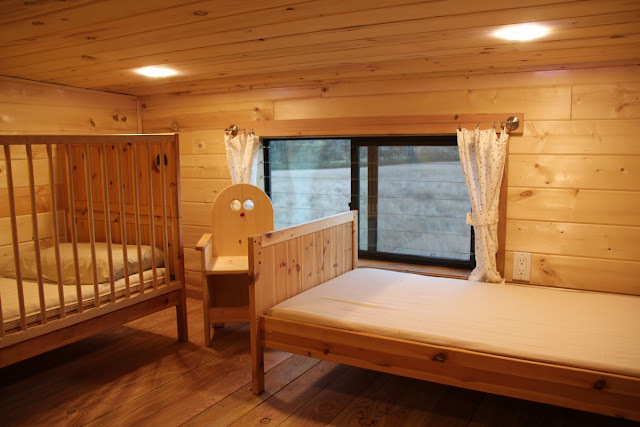 It's exterior is made from Grade A Canadian red cedar with a high tech rain screen and triple-pane aluminum windows. 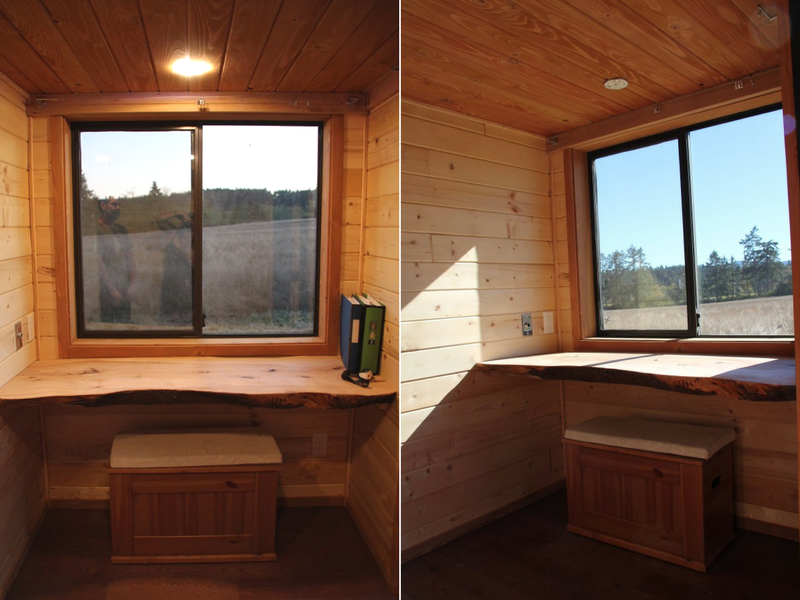 Inside the home is a home office, full kitchen, bathroom, and two bedrooms. 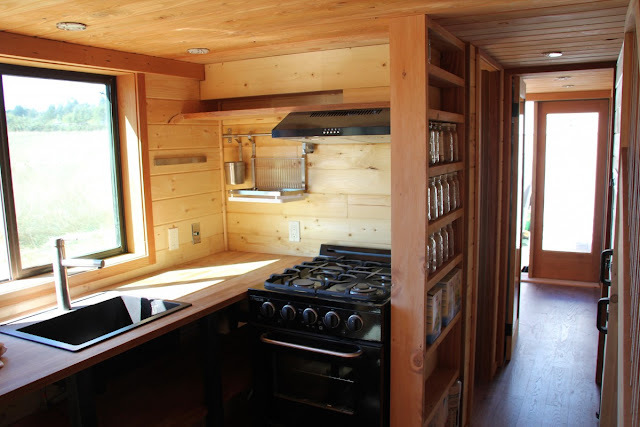 The Chinook also comes with electrical and heating but can be "unplugged" to go off-grid. 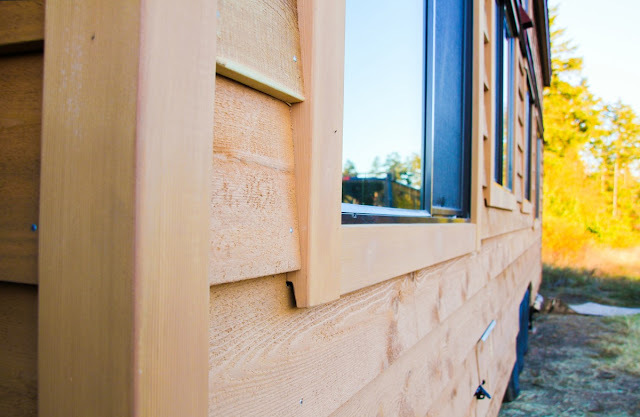 The home is made at Westcoast's North Vancouver build site. 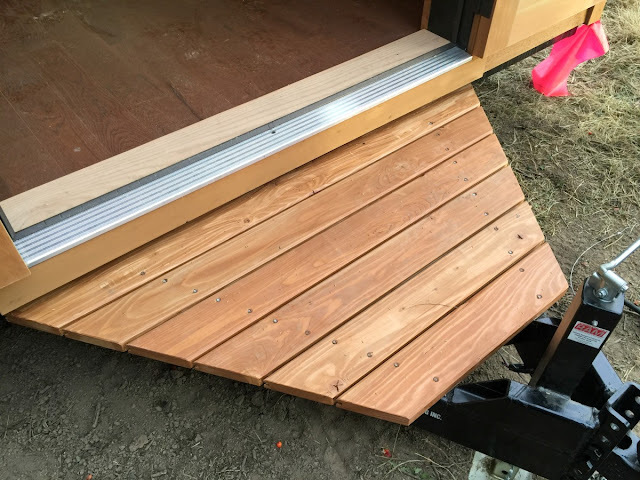 The standard edition of the Chinook retails for around $99,000 CAD and the "Healthy Living" options goes for $129,000 CAD (about $74,630 and $97,244 USD respectively). 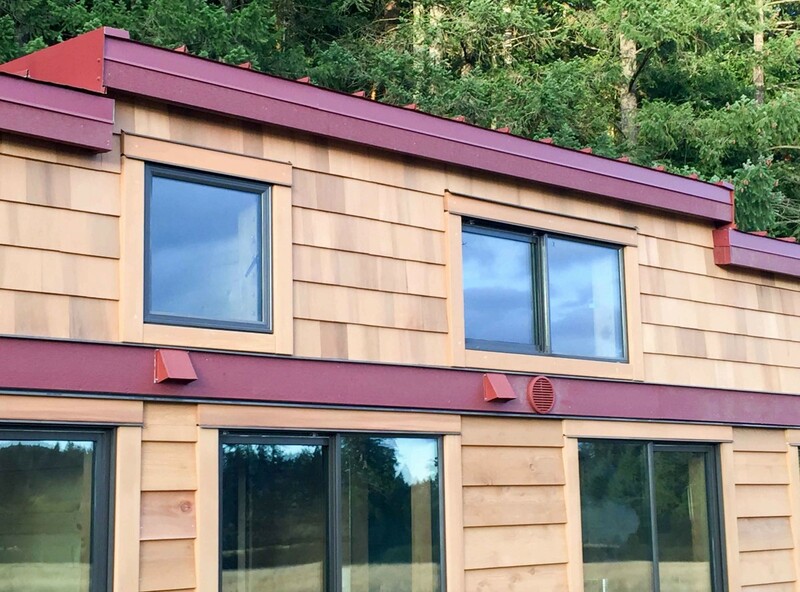 Be sure to check out the home on Westcoast Outbuilding's website here to see the home's floor plans! 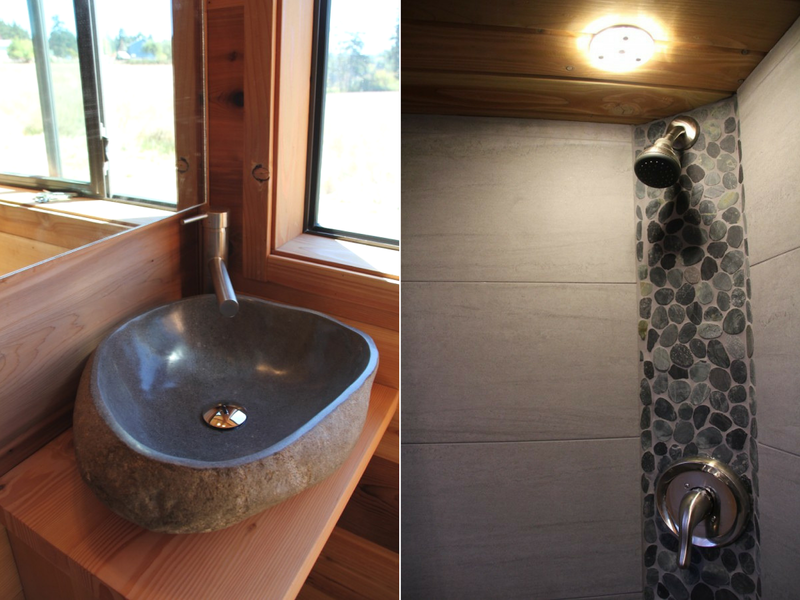 Images © Westcoast Outbuildings Inc.